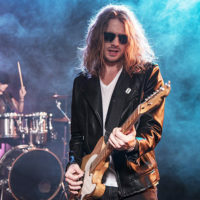 As an intermediate rock guitarist in London, you may be used to playing simple power chords and a favourite song or two, but if you want to grow as a musician, there is so much more to learn and enjoy. To get better as a rock guitarist, you need someone to teach you. Maybe it’s time to refresh your knowledge and skills and get together with a master guitarist who can take you to that next level? You will learn new tricks and techniques and enjoy playing more. You will have a deeper understanding of the rock style and a better appreciation of overall musicality. You will feel more accomplished. Playing rock guitar today connects you to the rock and roll masters of earlier times. Rock and roll is a genre of music that originated and developed in the United States in the late 1940s and early 1950s and evolved into an expanded, international style called rock music. In Britain in those days, youth subcultures like The Teddy Boys and rockers quickly picked up on the craze. Bill Haley and His Comets’ big hit Rock Around the Clock was a sensation on the British charts before it climbed the charts to number one in the United States. And in both countries, early rock and roll stars made their marks including Elvis Presley, Little Richard, Buddy Holly, Chuck Berry, and Carl Perkins. Rock music built on this foundation, and you can learn from the new rock legends. Stefan Joubert is the master teacher who can show you the techniques used by legends both old and new. And after developing a more rounded set of skills with the kind of music you love, you will get a chance to perform live in your own concert with peers, a chance to rock out and do your own thing. There’s a lot more that goes into the many styles of rock music than simple chords. The right teacher can take you there and show you what you are missing. 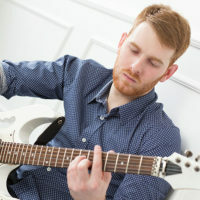 The London Guitar Institute has been working with intermediate rock guitarists just like you in providing high-quality rock guitar lessons in central London (Mayfair and the City), and it allows its students to progress at their own individual rates. If you want to improve your skills with rock guitar, you need a good musical foundation and a good path to grow your skills. The London Guitar Institute provides intermediate rock guitar lessons that take you from where you are now to where you want to be. What are some of the things you will learn as an intermediate rock guitarist in London? You will learn to become a better lead guitarist, rhythm guitarist or bass guitarist. 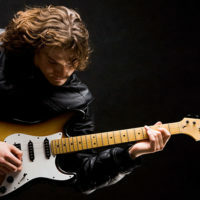 Stefan Joubert works with intermediate rock guitarists in London to review and master their current skills. He makes sure they have the needed confidence before they move on to more complex theories and levels of performance. 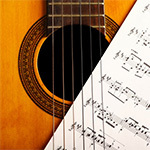 The London Guitar Institute for intermediate rock guitarists is the best place to learn music theory and apply it to the rock guitar. Playing rock guitar today connects you to the rock and roll masters of earlier times. Learn some intermediate songs like Variations on a Theme by Mozart, Fantasia 10 by Mudarra, or Gran Vals by Tarrega. 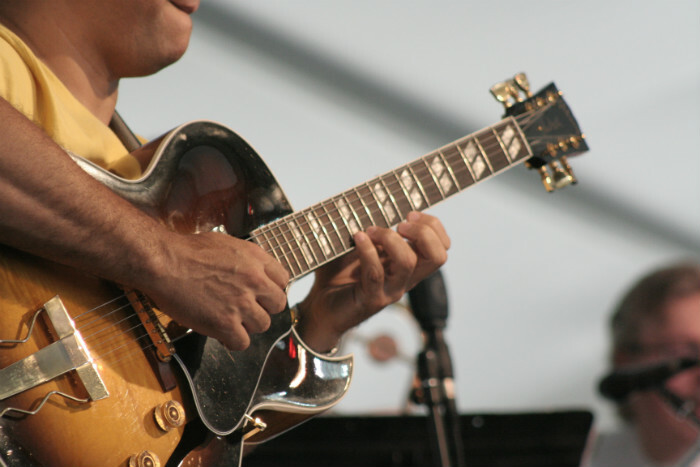 Learn the styles and some of the songs by the Rolling Stones, the Beatles, and Led Zeppelin, or study some of the rock pioneers like Les Paul, Jim Hendrix, Mark Knopfler, Jeff Beck, and VanHalen. And there are many more you can explore. Learn to play an entire repertoire of great rock songs. Find your own groove under the direction of master guitarist Stefan Joubert who has helped so many intermediate rock guitarists just like you. 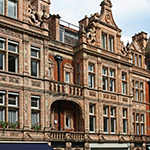 There are two great and convenient locations for intermediate rock guitarists in London. 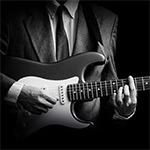 As an intermediate rock guitarist, you are immediately eligible for training at the London Guitar Institute. There are no pre-requirements. Lessons take place weekly at set times and days. No matter what your level of knowledge or performance on rock guitar, Stefan Joubert will help you improve. We look forward to working with you to continue your journey. Become a proud member of the London Guitar Institute, and we will help you become the rock guitarist you want to be. Contact us for more info about our intermediate rock guitar lessons. We promise a prompt and personal reply within 1-2 working days.